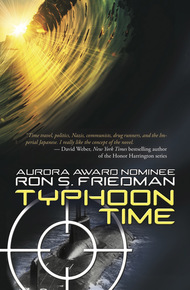 SF Canada member Ron Friedman’s novel Typhoon Time is currently available in the 2018 Military SF Bundle from Storybundle. Storybundle allows the consumer to set their own price for bundles, and to support charities and independent authors. The 2018 Military SF Bundle offer ends on July 19, 2018.